OAR provides IT services and consulting for small and medium sized businesses in the Huntsville area, covering all aspects of system administration and network management from basic maintenance to advanced planning and architectures. In order to benefit our clients, we have made strategic partnerships with several technology companies, including Microsoft, Dell, and ADTRAN. 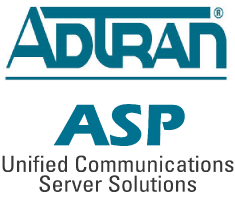 OAR is a certified member of the Microsoft Partner Network, and an ADTRAN ADvantage Partner. For many years, OAR has performed system administration on our own internal Windows domain, including not only the Windows based servers and workstations, but also the network components such as firewalls, switches, and wireless access points. We have extensive experience with Windows Domain Controllers, IIS, Exchange Servers, as well as Office and Outlook configurations. We can provide help desk type support for all Windows desktop operating systems from XP to Windows 8, including virus and malware removal. As the Microsoft technologies have evolved, we have followed along and kept our credentials intact. The OAR IT team also has significant experience with many Linux based servers and client workstations, such as Fedora and Ubuntu. We deploy and maintain our own public facing Linux servers which support a moderate amount of users and traffic (web, email, ftp, cvs, etc.). We also specialize in the configuration, maintenance, and deployment of software development environments, both Linux and Windows based. For many small businesses today, the computer infrastructure has grown too complex to be managed effectively by the staff. Hiring a full-time system administrator can be costly, not to mention the headaches of recruitment, retention, and training. So, why not just let our staff of certified professionals perform as your IT department? We are always on call and respond quickly to fix any IT issues that may occur. If needed, we can also help your business develop an IT strategy, taking advantage of today’s technology. Using OAR consultants will allow you to concentrate on your core business, instead of the supporting IT systems. Contact us to get the OAR partnership needed for your business. Need a reference? No problem. Just ask when you submit a query on the contact page.